The Emperor's vision of mankind ascendant lies in tatters. The Great Crusade is naught but a fading memory. The dream of Unity is no more. But with Horus' rebellion spreading to every corner of the Imperium and war engulfing new worlds and systems almost daily, there are some who now ask: were the signs there to be seen all along? 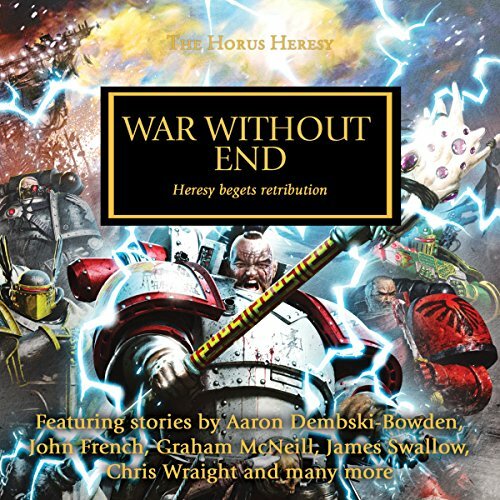 In these dark times, only one thing is certain - the galaxy will never know peace again, not in this lifetime or a thousand others.... Full list of authors includes James Swallow, Nick Kyme, Chris Wraight, Rob Sanders and Andy Smillie.